Modern bedroom creates sleek, stylish, calm and welcoming atmosphere. If you want to entertain your family, specially your life partner, try to decorate bedroom in modern style which turns your bedroom into a paradise besides giving a clutter free living. Modern bedroom furniture is in straight lines with no carvings and organized. . Low level furniture made from dark wood is the basic of modern style. The furniture painted in black is the ultimate choice of modern style. 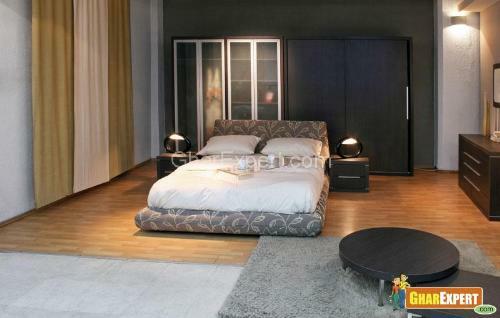 You should place a few articles of furniture in modern bedroom as modern style is based on “Less is more” principle. Usually the bedroom is painted in white, green, red or brown color as these colors highlight the furniture. Place a sleigh bed to enhance your overall look of modern bedroom. Also you can place a single sofa and an ottoman for reading space and storage besides placing a footer ottoman to store bed sheets. Modern bedroom furniture gives an elegant and sophisticated look to the bedroom because of dark wood and low-level furniture. Modern bedroom is not over-packed with accessories. Modern bedroom accessories are very little like a long lined glass vase with one or two flowers. Just choose any accent element with geometric designs, don’t use anything ornate. 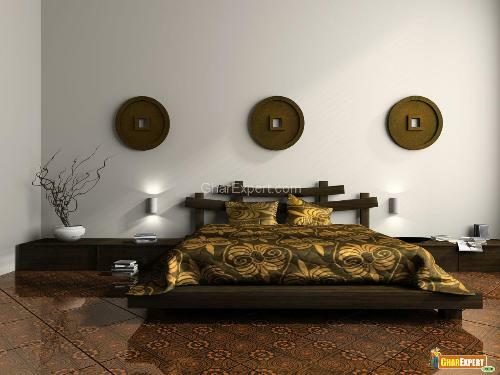 You just place a rug in rectangular, square, circular or amoeba shape to give modern look to your bedroom. 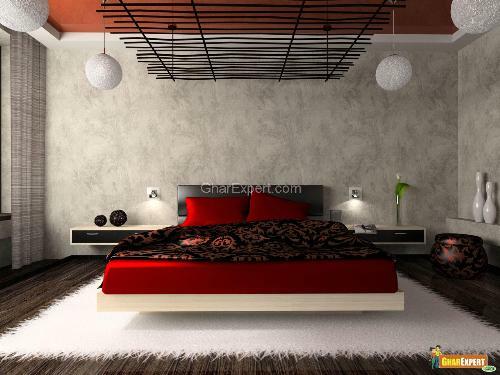 A simple yet elegant chandelier is also a part of modern bedroom. The modern bedroom should occupy closet space for storage. If you are using a wardrobe in modern bedroom, use wardrobe with stainless steel handle. 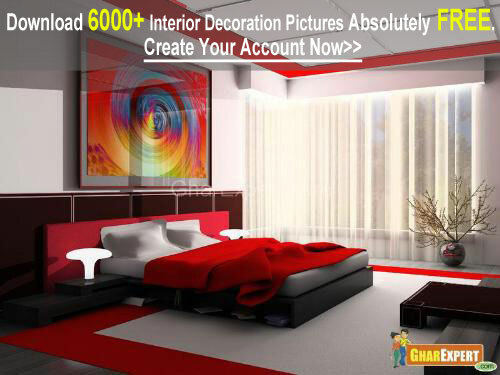 Some pictures and mirrors on walls can simply be used to decorate modern bedroom. Natural sunlight is enough to light up your modern bedroom. Fix a large glass window to have enough sunlight in modern bedroom. If you can not access enough sunlight in your modern bedroom, you can use ceiling lights, chandelier and side table lamps. Hanging pendants, wall scones, brushed steel lamps, ceiling lights and chandeliers are also enhance the look of your modern bedroom. 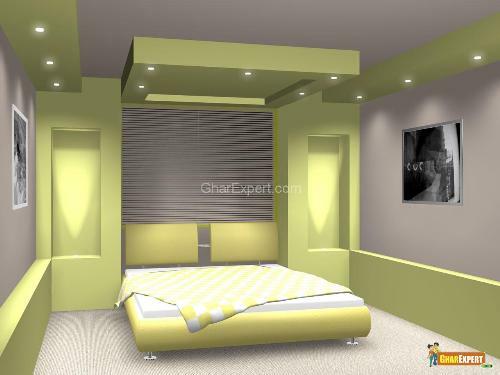 The color of modern bedroom should be soft and soothing to eyes for the bedroom is a place of relaxation and comfort. Use calm colors such as cream, pastel green, pastel pink, light blue and light brown as they are relaxing. If you are using some accents in modern bedroom, you can opt for red, yellow and orange color for nice bedroom impression. Modern bedroom furnishing should be soft and smooth but not too textured. Soft fabrics are such as cotton and silk bed sheets and pillow covers, furry rugs essentials of modern bedroom and add warmth your modern bedroom. 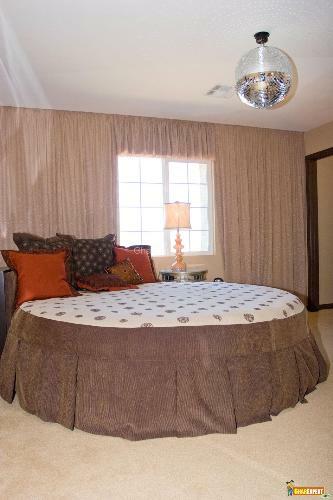 Curtain and draperies can also change the look of the room. Bed headboard should match with the furniture you choose for your modern bedroom. You can also place an upholstery bed headboard in your modern bedroom. You can also choose beds with different shapes and styles such as sleigh beds, circular beds, platform beds etc. as they also give a modern style to your bedroom. Platform beds are in trend with modern style interior and are ultimate choice of today’s youngsters as they are comfortable to sleep. 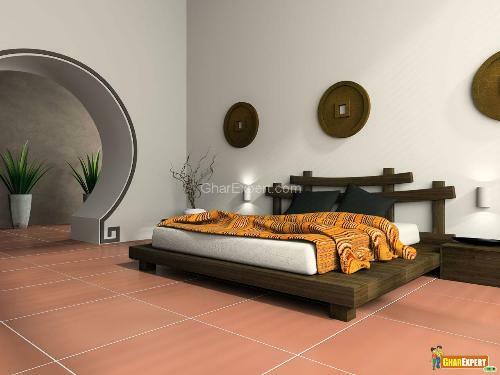 Platform bed includes low level wooden bed frame with high mattress.